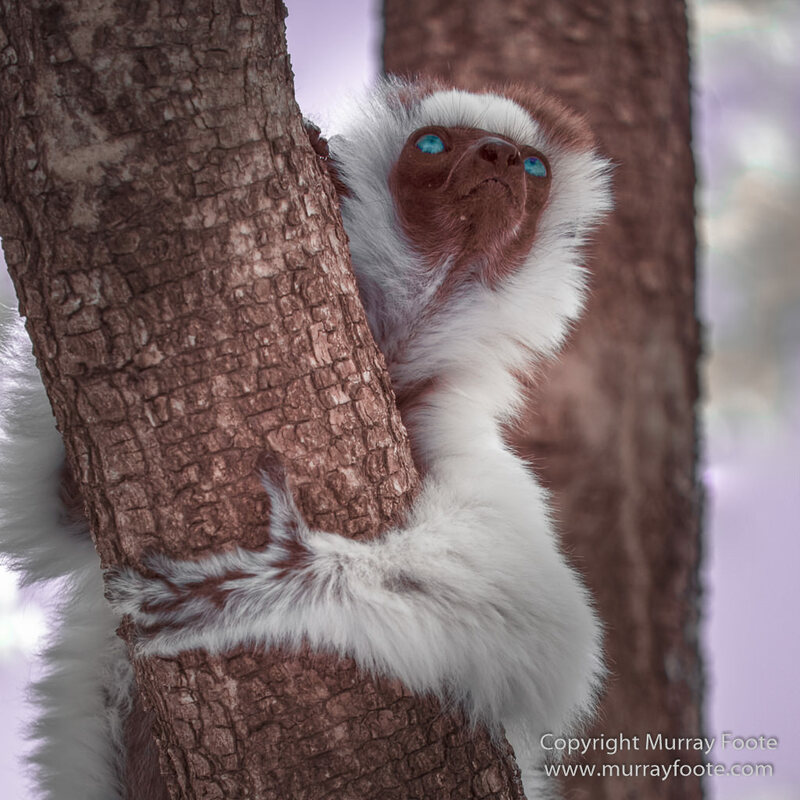 Some images of lemurs in their dream worlds. 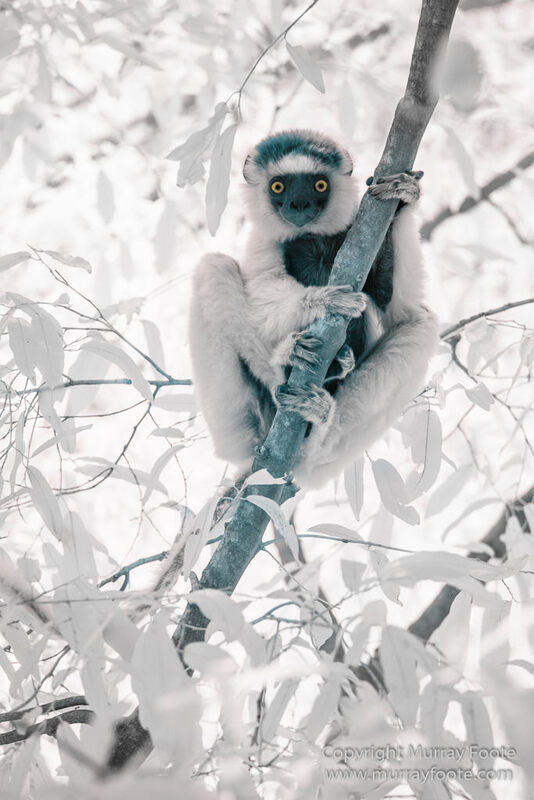 A Verraux’s sifaka looking up. 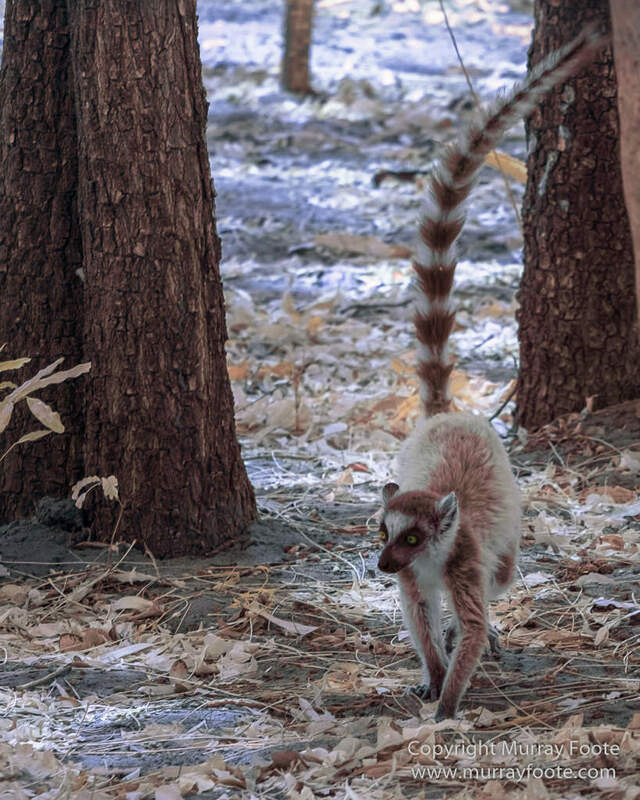 Ringtailed lemur on the ground. 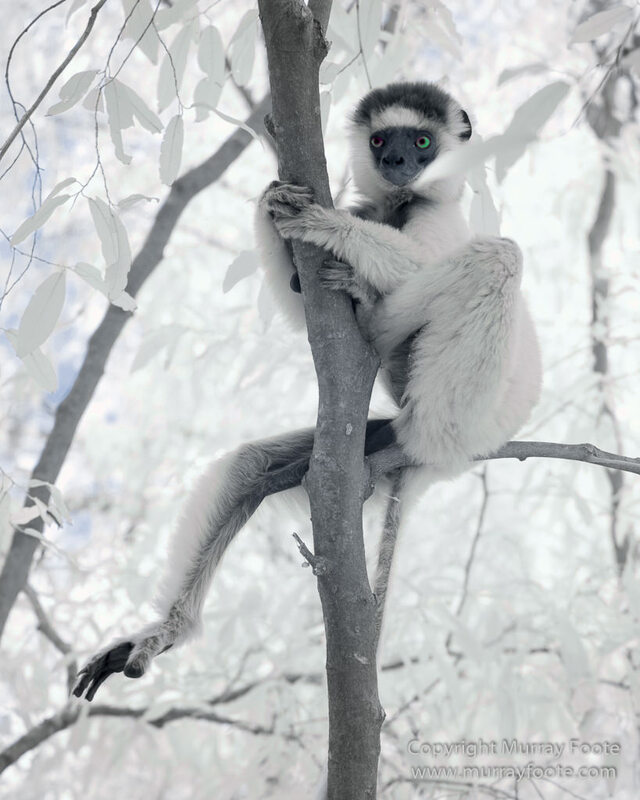 Verraux’s sifakas more deeply in their dream world. 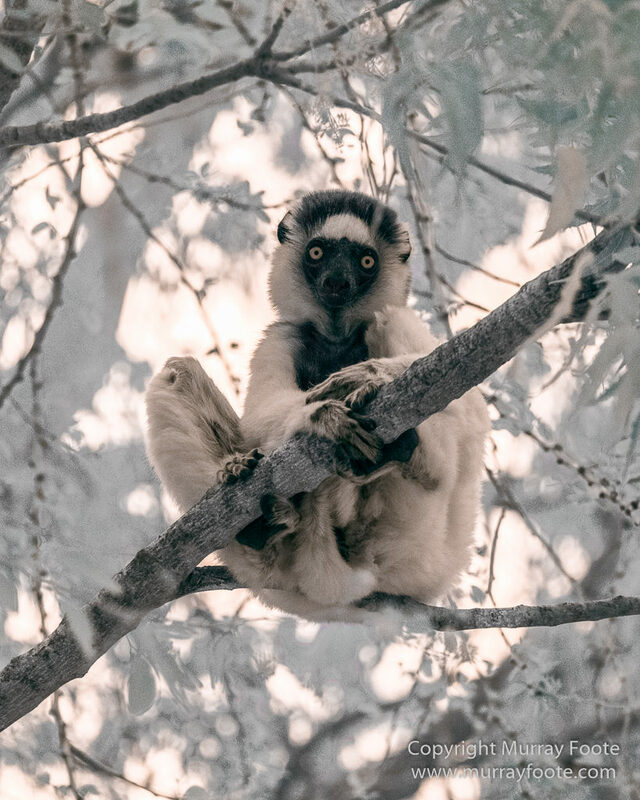 And a last Verraux’s sifaka looking down on us. 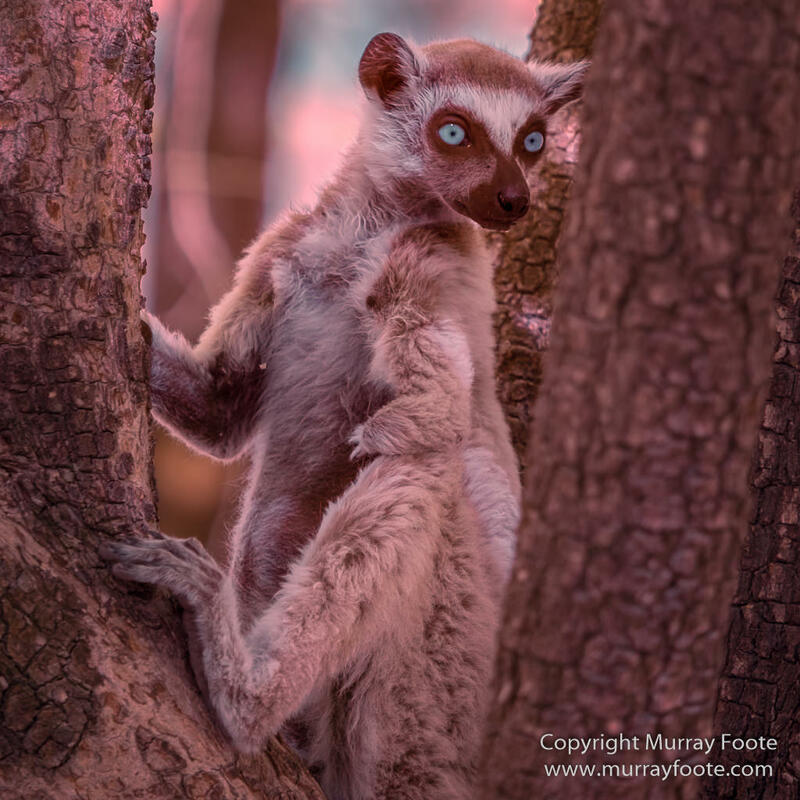 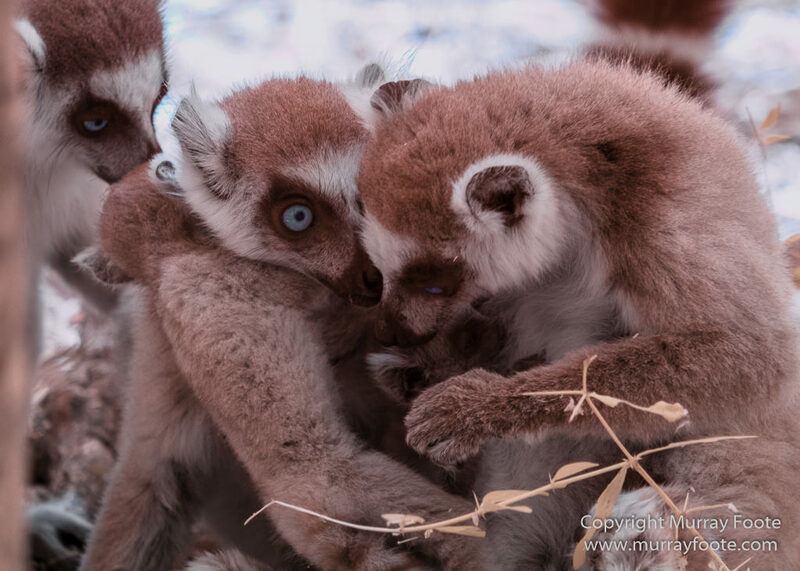 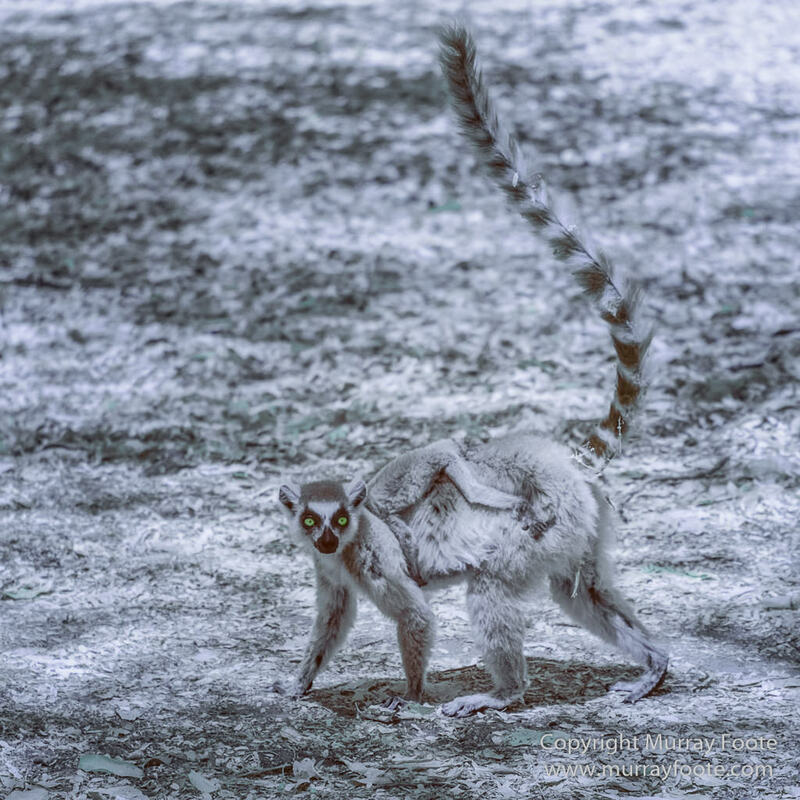 This entry was posted in Madagascar and tagged Berenty, Infrared, Landscape, Madagascar, Nature, Photography, Ringtailed Lemur, Travel, Wildlife. 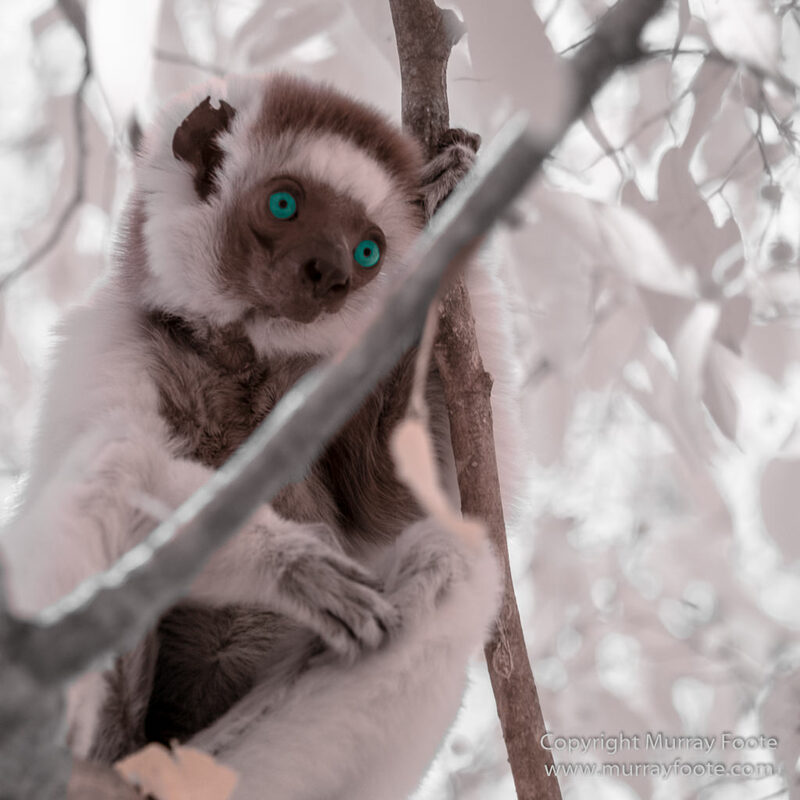 The eyes in the IR images are whatever colour I choose to make them within the range of possibilities that works for each image. 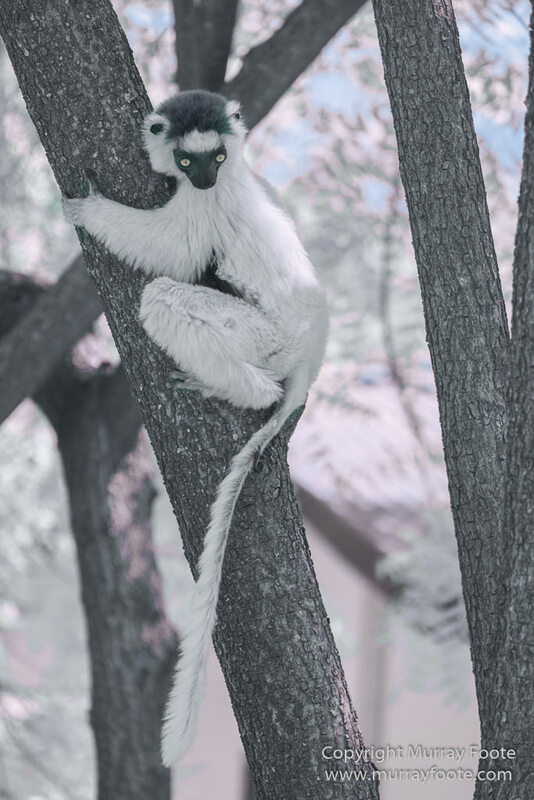 After all, though the images reflect both visible and IR light, the IR light is outside our visible spectrum so all colours affected by that are a matter for conjecture. 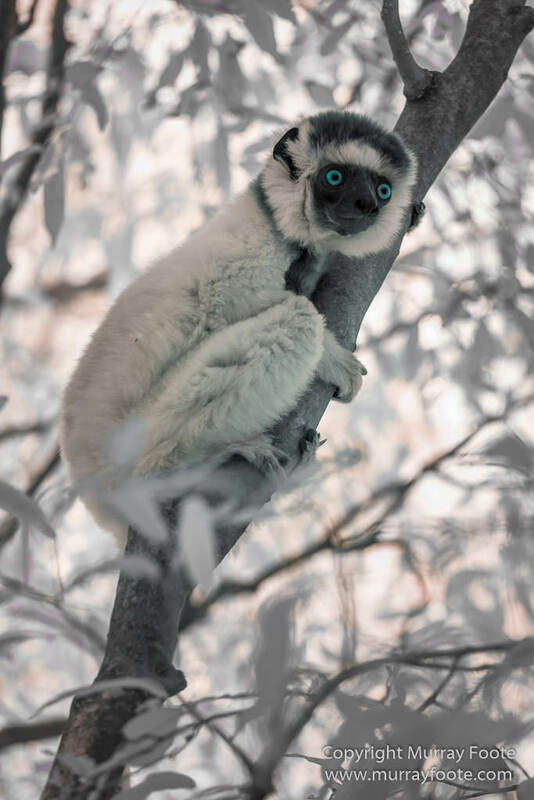 You can see their actual eye colours in the other posts. 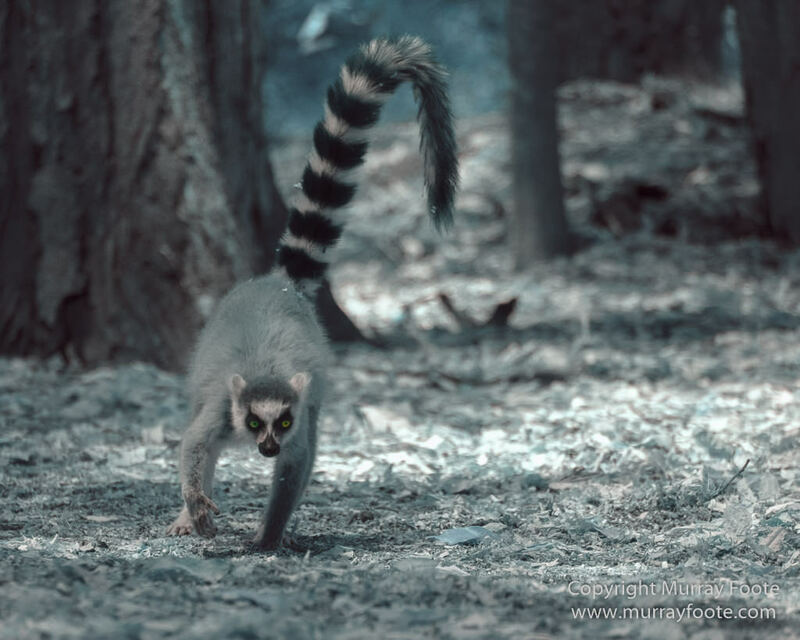 Ringtails have brown eyes, ranging from yellow-brown to red-brown, though that range may be partly due to the colour temperature of the light according to the time of day. 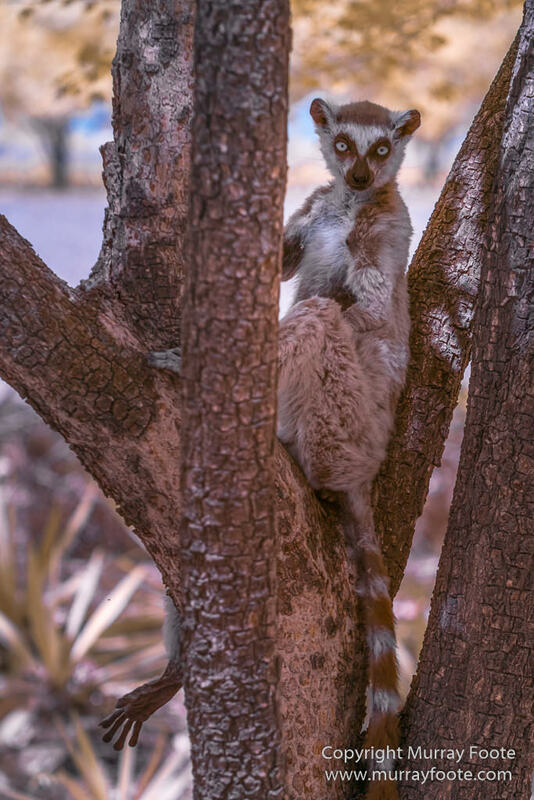 Verraux’s sifakas seem to have yellow-brown eyes. 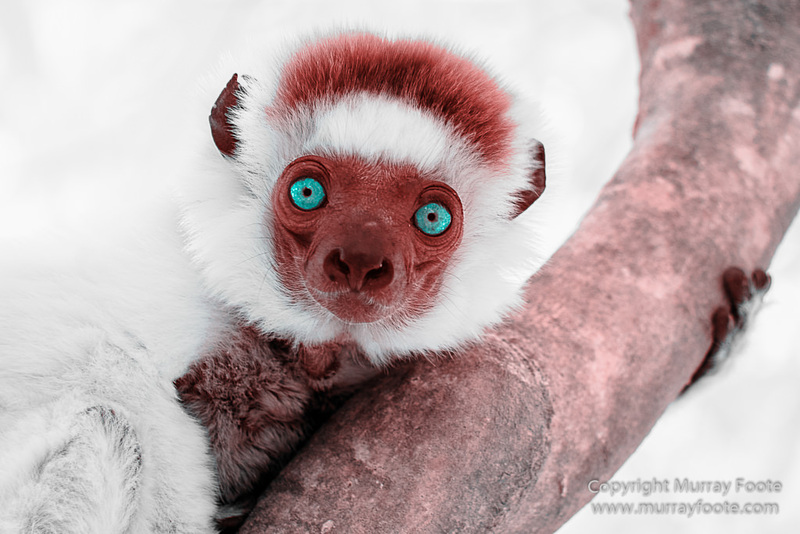 Thanks Murray, I hadn’t realised you chose the eye colour! 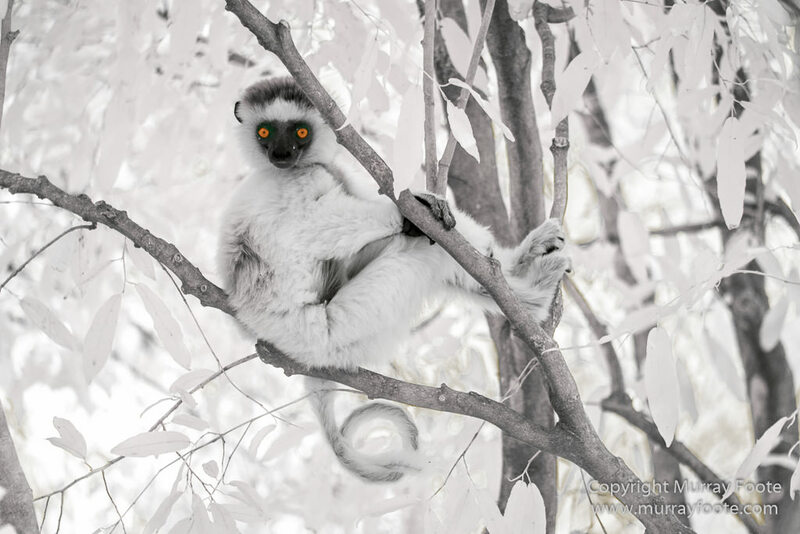 I specifically took the IR camera to Madagascar for those photos – mainly black and white lemurs against a background where the leaves can be white.